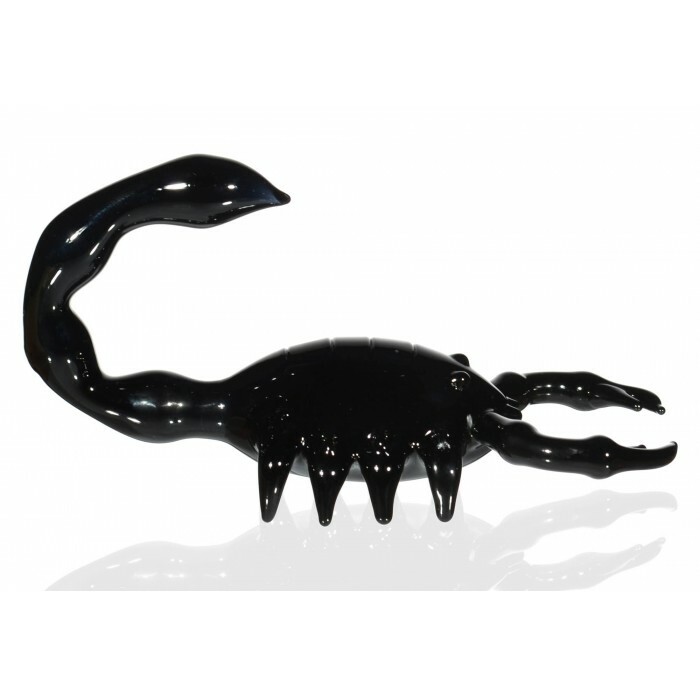 The Dark Scorpion - 6” Black Scorpion Glass Hand Pipe -The Greatest Online Smoke Shop! 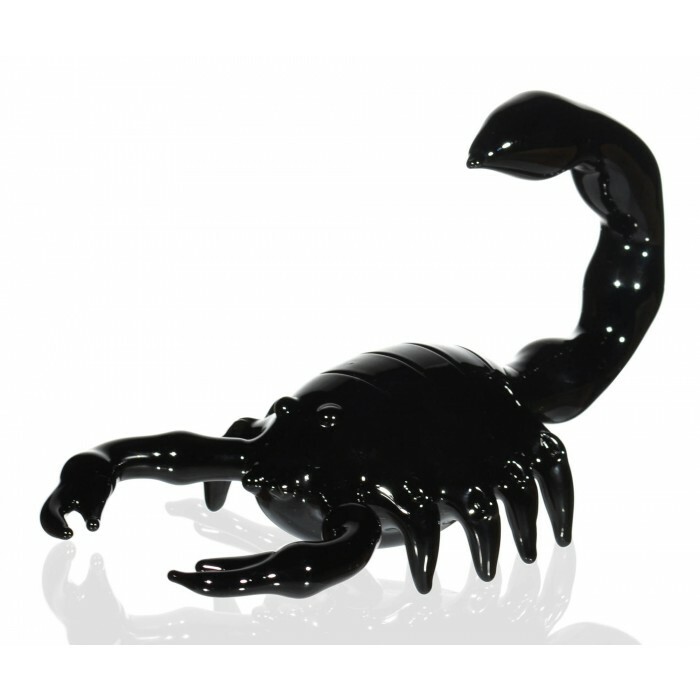 All black realistic scorpion design. 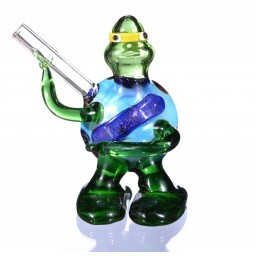 Ultra discreet pipe can be put on any shelf for its beautiful glass intricacies. 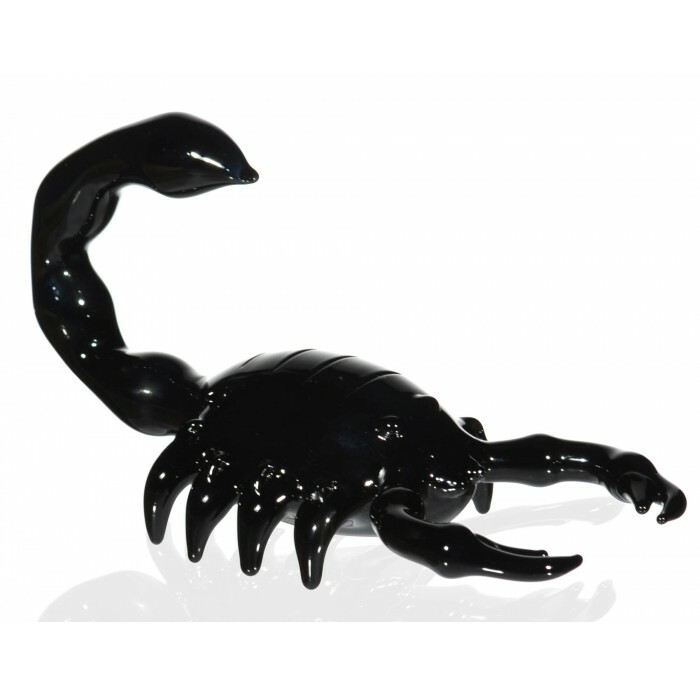 Detailed claws and tail grow from the body of the pipe. 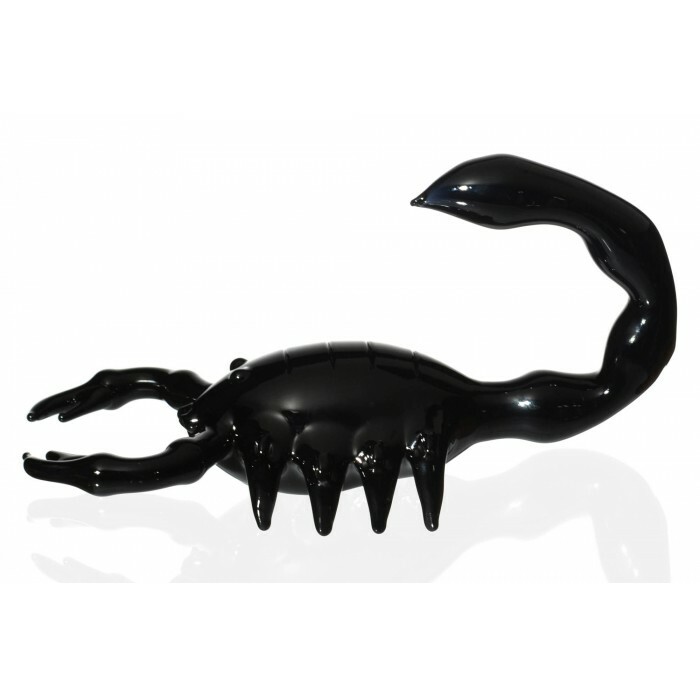 Small bulges create the look of the scorpion’s eyes and mouth. 8 realistic legs extend from the side of the piece, meeting the floor where they provide extra stability. 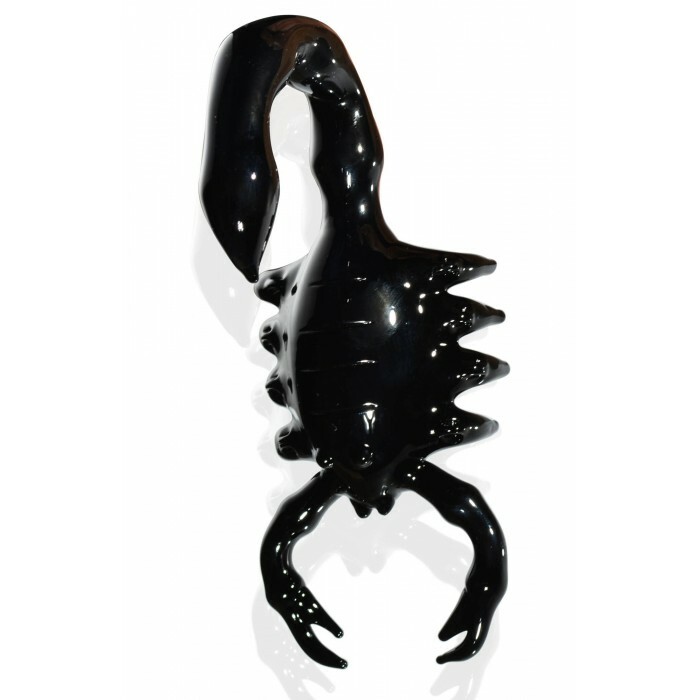 Stripes cover the back of the piece, creating the look of the scorpion's shell. 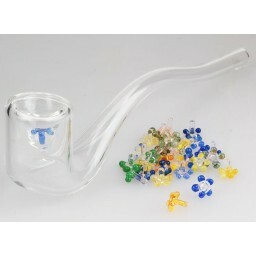 The bowl is located at the bottom, on the belly, of the piece.  The mouthpiece is located on the tail. 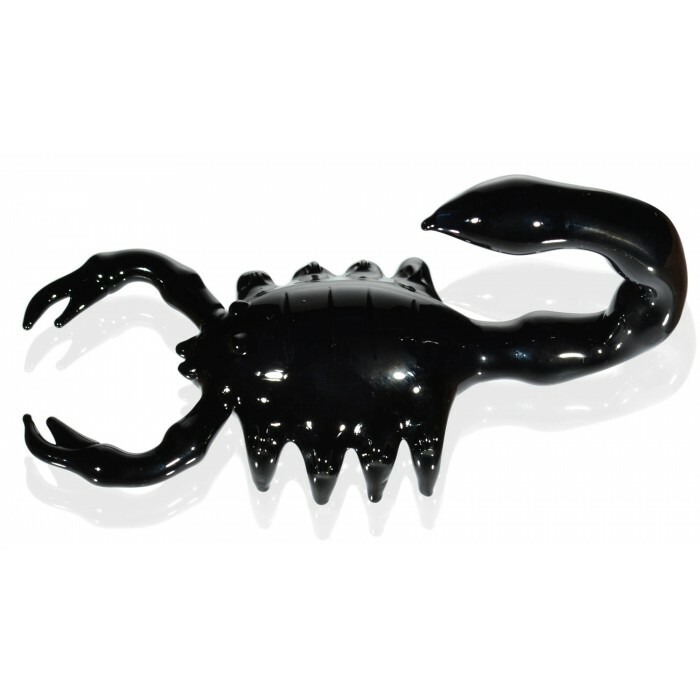 Your smoke sessions need to be a little more creepy, which is why we made The Dark Scorpion. Eight legs hold this creature upright, while providing stability for the pipe. From the front, two realistic sinister claws reach out to pinch you. At the back, a long menacing tail curls forward to strike and fill you with its poison. Eyes and a mouth add to the realism of the piece, as does the shell like design on its back. The whole of the pipe is black as night. The bowl can be found on the belly of the insect, so you hold the beast upside down to hit it. The mouthpiece is on the tail. 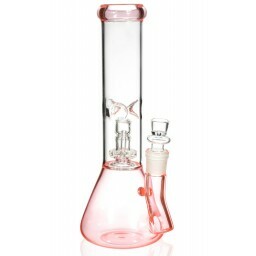 At 6”, this piece is sure to provide nice rips. 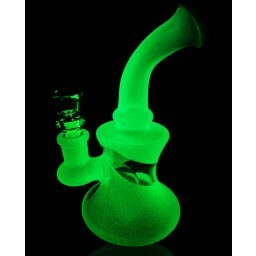 Bowls can be boring, so get one that stands out!